Quebec has become a hotspot for cryptocurrency businesses in part due to its low electricity costs. 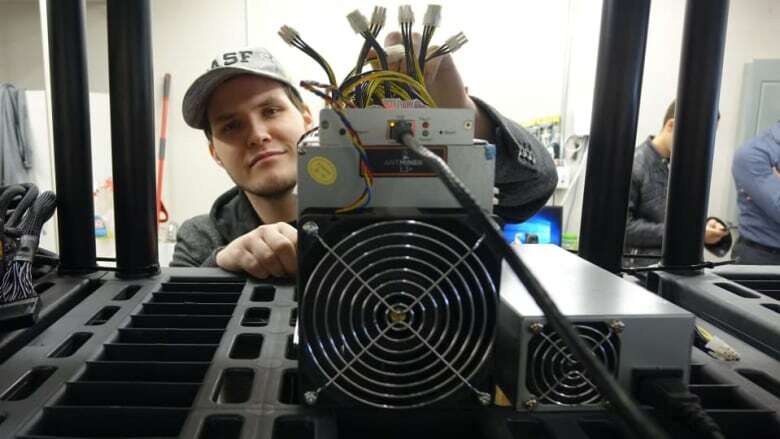 A young Quebec entrepreneur has quietly created the largest bitcoin-mining operation in the province and plans to expand this year. Jonathan Bertrand runs Technologies D-Central from a warehouse on the outskirts of Montreal. From outside, the hangar is inconspicuous. Inside, the noise is deafening — the sound of fans cooling the 50 computers running day and night, mining for bitcoin. These computers don't have keyboards or screens. They are packed with microprocessors doing continuous calculations, tracking bitcoin transactions and competing against other computers to solve the mathematical puzzle created every time there's a transaction. 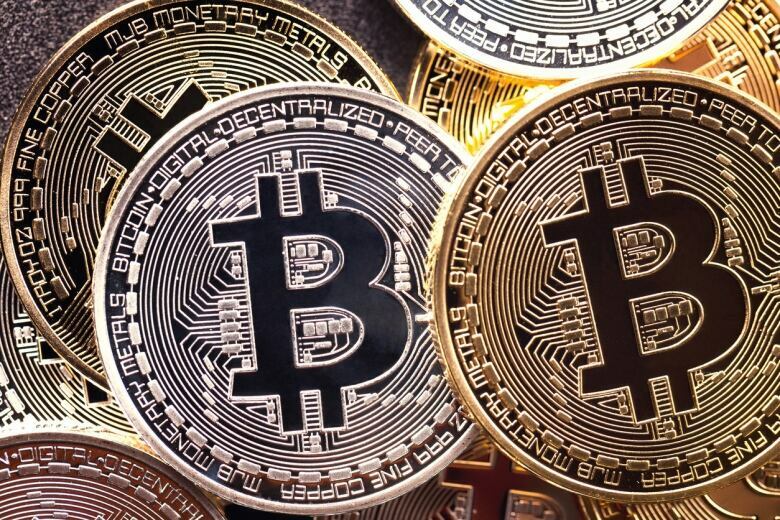 Bitcoin is a peer-to-peer online currency, with no central authorities such as banks or governments controlling or regulating it. Its value is determined by how many people are buying it and using it, and how many new coins are in circulation. Currently, one bitcoin is worth about $9,000 — about 10 times more than its value in January 2017. Computers like the ones in Bertrand's warehouse know how much bitcoin is floating around, what it's worth and who owns it. With this information, they maintain public ledgers, which are readable by anyone. "The bitcoin network, every heartbeat, is a microchip that makes a constant calculation, every second," said Bertrand. And in exchange, the people behind those computers are entitled to a small piece of the transactions — a take that adds up quickly. "The profitability depends a lot on prices, and at today's price, one computer can bring in around $600 per month," he said. There is a huge network of computers around the world running special bitcoin mining software, competing to problem-solve and create new bitcoins. While thousands of processors around the world make up this bitcoin network, Quebec is becoming a hotspot for this kind of mining operation because of the province's low electricity costs — and its cold winters. Running a single one of the warehouse's computers night and day eats up about $90 worth of electricity, but the operation saves on the cost of cooling systems that keep the machines from overheating during the winter months, when temperatures drop. 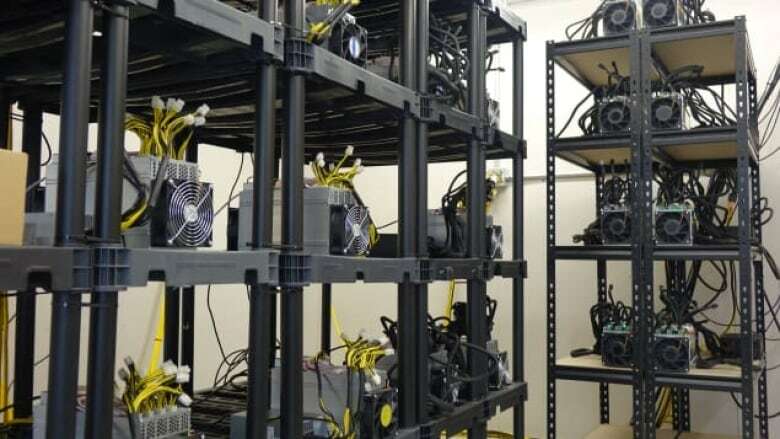 Bertrand has plans to install additional processors at the existing warehouse and hopes to open a second bitcoin mining operation in another warehouse somewhere in Montreal's suburbs. But he's on the look-out for competition; large companies based in China and Iceland have been sniffing around Quebec, Bertrand says, drawn by the low Hydro-Québec rates. While the get-rich-quick nature of the operation seems appealing, many would-be investors are cautious as financial authorities warn against the instability of the market and its association with money laundering operations. Still, Bertrand insists that all his business is conducted above-board, and he believes it's only a matter of time before bitcoin begins to compete properly with the traditional banking system.